Insolvency Practitioners do not work for free however, this does not mean that you will be facing a bill if you want to undertake an IVA. 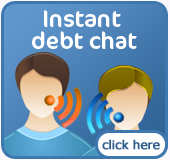 Most IPs will take their fees from the money that you agree you can afford to pay each month to creditors. 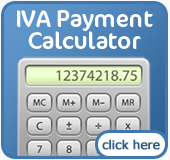 You will therefore not have to pay more than your agreed monthly payment. The proposal that you set up for your IVA will contain information on what you will pay for the services of the Insolvency Practitioner (IP). When you speak to one of our IVA specialists they can give you specific information on the costs involved but what follows is a brief outline of how the fees & costs breakdown. The nominee's work will include help with your proposal, the necessary application to court to begin the IVA process, liaising with creditors and setting up the Creditor's meeting. The nominee's fee will usually be a fixed sum, agreed with you before they start any work on the proposal. Sometimes the fee can be split between work done as nominee and work done before that stage, as intended nominee. The supervisor's costs depend in part on the nature of the proposal and what needs to be done to implement the arrangement of the IVA. The supervisor must always report the results of the creditor's meeting to you, the court, and to all the creditors. They will also be responsible for an annual report sent out to all these people. Sometimes there may be work that is unforeseen in the proposal, for example if a creditor takes a dispute to court or if you break your proposal's promises to creditors. You should always be able to contact your supervisor, and you should do so if you are ever having problems delivering your part of the bargain. The fees of the supervisor may be stated at a fixed sum, as a percentage of the funds coming into the arrangement, or by reference to the time costs of the supervisor and the people working in their staff. Always make sure that you understand what basis is being used for the fees in your case, and that you are happy with them. Your IP should be able to breakdown the costs and detail where the fees are going. To get a clearer understanding of the costs involved in setting up and maintaining an IVA it is best to contact one of our IVA specialists.